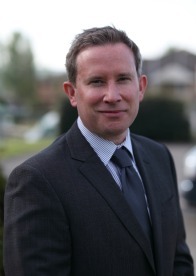 Prior to joining Vision in 2011 Simon was a highly successful Financial Adviser at Barclays for 10 years. He now has over 16 years of experience in financial services. Simon is more passionate than ever about giving the highest level of service to all his clients and relishes the opportunity to offer truly independent financial advice alongside Vision. Simon is happy to discuss all your financial planning requirements, in particular Investments, Pensions, Protection and Inheritance tax Planning.